Make a Splash these school holidays! You can dive in with me as Dr Suzie Starfish on Facebook and @suepillans on Twitter and Instagram. 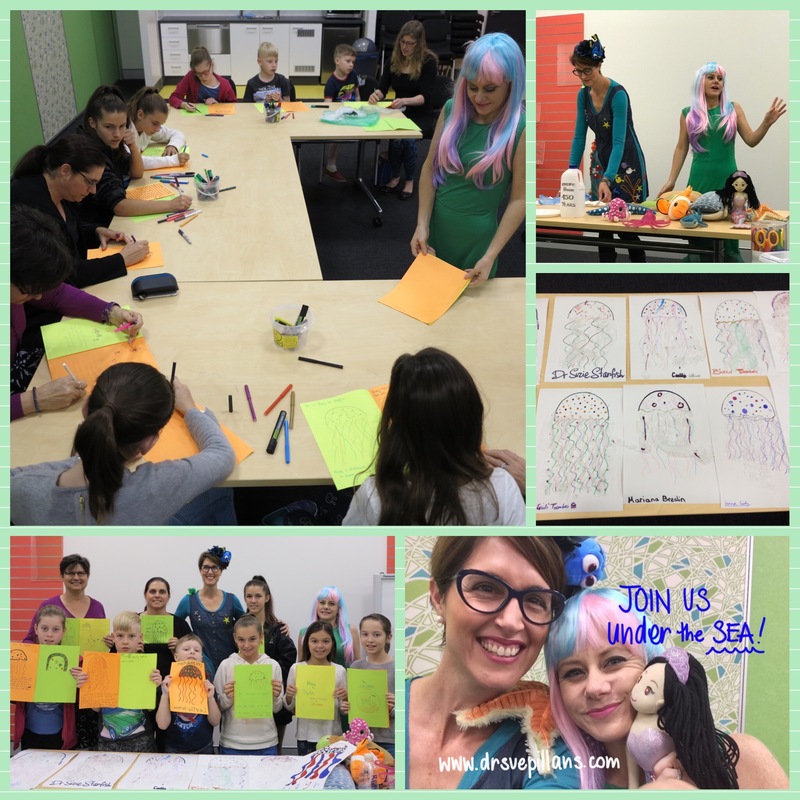 Please don’t hesitate to contact me (sue.pillans@internode.on.net) if you would like us to visit your school or group or would like to attend one of our”Under the Sea” Workshops. The art of my visual storytelling is all about listening + interpreting + synthesising information which I then translate into words and pictures = YOUR Story. This visual approach is a powerful way of engaging with people as I am considered an independent in the room and only draw what I hear which allows teams, groups, clients and stakeholders with the unique opportunity to be heard. By capturing discussions I am also able to show people the ‘Big Picture’ and take people on a journey vs the standard Powerpoint approach. The visuals that I create are also an important communication tool which can be used throughout and post-workshops, conferences and meetings as a point of reflection, a visual representation to share with others and a reminder of the key messages and outcomes from the day. 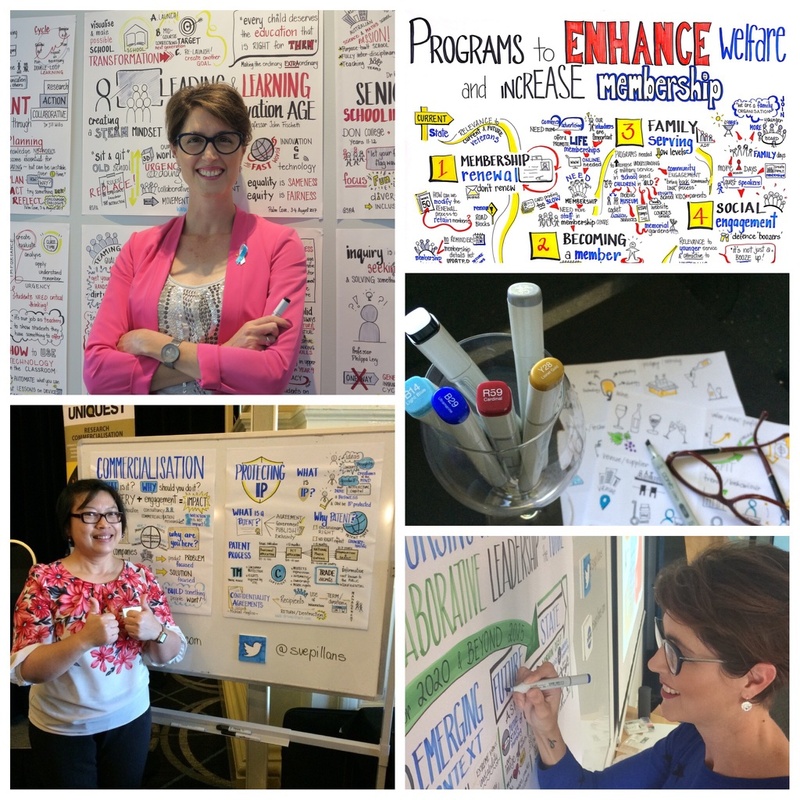 You can see more of my visual storytelling and client stories via my Graphic Recording and please don’t hesitate to contact me at sue.pillans@internode.on.net if you would like me to help you or your organisation to “Picture your ideas“! You can also follow my creative journey via my alter ego Dr Suzie Starfish and @suepillans on Twitter and Instagram.